Galvin Green, the pioneering brand in hi-tech golf waterproofs, is introducing a limited edition of its new streamlined GORE-TEX® SHAKEDRY™ rain jacket ahead of the first Major tournament of the year and two months before its official launch. The first super-lightweight waterproof garment of its kind, the jacket features a green full-length zipper and will be available from today at selected stockists and online retailers around the world (S-XL sizes). Known as the ASHTON, the new SHAKEDRY™ full-zip jacket comes with shaped sleeves for easy movement, elastic binding on the cuffs, drawstring at the hem, water-repellent zippers and a chest pocket. It will go on general sale with a silver zipper in more size options this summer. RRP of £280 (€320). For more information visit www.galvingreen.com. 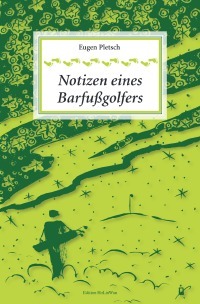 Mein neues Buch "Notizen eines Barfußgolfer", Softcover, ist in allen Fach-und Onlinebuchandlungen erhältlich.